The table clock by the Max Bill for Junghans line designed in 2012 is based on the original drawings from the year 1958 by Max Bill and conforms absolutely to the Bauhaus style. The quartz clock captivates with its clear and straightforward design. On the desk as well as on the shelf, the square clock makes a good figure. Due to the high-quality materials such as mineral glass, brushed aluminium and wooden casing, the clock is an elegant and puristic living accessory. The three wooden cases in black piano lacquer, walnut and white satin will give you the possibility to customize the clock by Max Bill to your interior. While the white table clock has a dial of white figures,the black and the walnut table clock are supplied with a white dial sheet. Please note that the required AA battery is NOT included in the delivery. 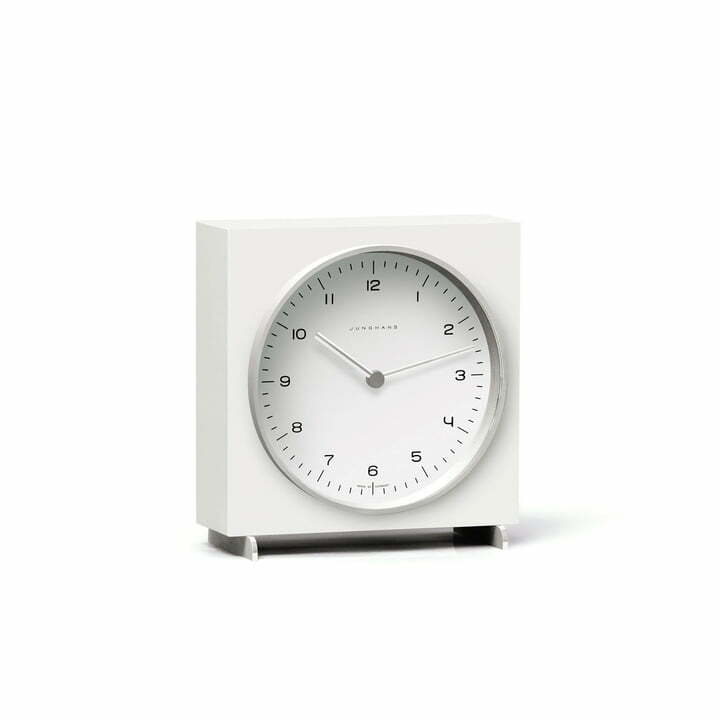 The Max Bill quartz table clock by Junghans is made of wood in white satin-matte with mineral glass and brushed aluminium , based on a drawing from the year 1958 in the Bauhaus style. 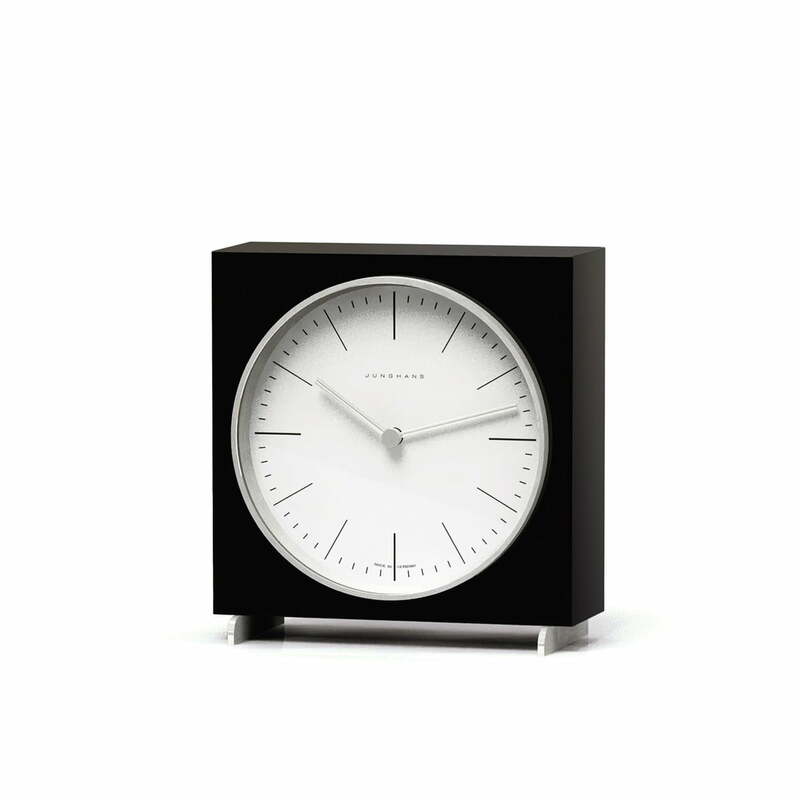 The Max Bill quartz table clock by Junghans is made of wood in black piano lacquer with mineral glass and brushed aluminium after a drawing from the year 1958 in the Bauhaus style.